316L stainless steel pipework and fittings installed with no naked flame or hot work permits! The stainless steel press fit system is a rigid, cost-effective method of joining stainless pipe and fittings in Australia. 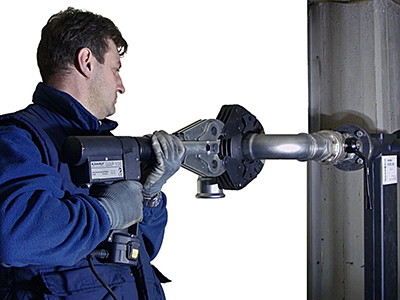 With no welding, threading or soldering, the system provides tight, leak-free joints using a portable press tool. The Europress stainless steel press fitting system works in a two-step process: the first step is to use radial compression, which creates a waterproof and airtight seal around the toroidal chamber. The second step is geometric compression, which forms a strong, mechanical joint that is resistant to rotation and longitudinal movement. Press Fitting is applicable to a wide range of applications and industries, which include heating and cooling, food and beverage processors, manufacturing, mining, defence, automotive, oil and gas processing, wineries and water treatment. Europress is the new way to install 316L stainless steel pipework using press fittings, or as they are sometimes called, CRIMP FITTINGS. 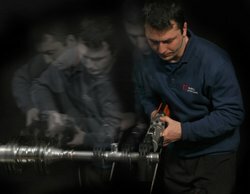 Air Energy is your trusted stainless steel pipework supplier, able to cater to your needs. Press fittings are much faster than traditional tig welding of stainless steel and needs no naked flames, hot work permits or gas bottles, etc. Europress press fit stainless steel has the added feature of Press Check Sleeves for extra integrity when they’re installed onto stainless steel pipework. 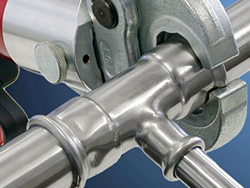 The distinctive blue Press Check Sleeves on stainless steel Europress press fittings or yellow for gas and red for carbon steel indicates if each joint has been pressed, providing peace of mind that no joints have been left uncompleted. EUROPRESS is now available in 316L and 304 Stainless Steel Pipework Systems. STAINLESS STEEL AISI 316L fittings are also available from Air Energy, your trusted suppliers. Since Europress stainless steel press fit systems are modular, installations, replacements or alterations are a breeze ― no more transporting gas bottles and hoses or the risk of inconsistent welding. The innovative technology of the system enables it to be installed up to ten times faster than traditional systems that require conventional welding. Press fittings are so simple to install that no hot work permit or skilled labour qualification is needed to get the job done. All that is needed is knowledge of how the components function and how to assemble them correctly. You can easily identify any joints that have not been pressed – this minimises the risk of leaks after installing the pipe system. With the Europress Pressing Tool, components are easier to assemble without sacrificing reliability. Provided the instructions are followed, the presstools give reliable repeatability and downloadable history. Installers and owners need not worry about subpar welds. Using Europress fittings with the correct pipes and approved pressing tools results in a remarkably durable and reliable pipe system. Installing stainless steel pipes in Australia does not get any safer than using the Europress press fit system. It complies with OHS requirements since there are no heavy tools, gas bottles, fire hazards and debris to deal with. A Europress stainless steel press fit system offers a level of simplicity no other industrial piping method can match. The press fit system slashes costs by up to 30 per cent, because expensive specialised labour and gas bottles are not required for welding. Faster, cheaper and reliable, modular systems are redefining the industry standard. Polished stainless steel is free from oil, grease and any other corrosion-inducing materials. Since all Europress systems undergo rigorous testing the potential of leaks and contamination is minimised. Europress 316L pipes and fittings have been certified for drinking water use by many national and international authorities including Australian Watermark & German Standard DVGW W534. Each Europress press fit component (up to and including 54mm) features a highly-visible crimp indicator to prevent substandard installations of competitors products of having to fill the pipes to test, then containing leaks, with subsequent draining fluids and clean-up. With the Europress Press Check Sleeves, each joint has a highly visible external indicator, there is no need to fill and pressurize the system with potentially expensive fluid, risk messy leaks, then drain the system and repeat the procedure. 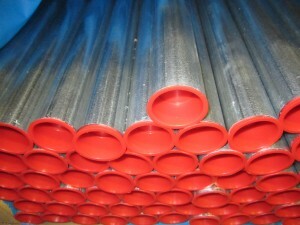 316L polished S/S tubing for a superior finish. High alloy austenitic Cr-Ni-Mo Fittings made from the same high grade 316 S/S with a choice of O-Rings for chemical suitability. 304 polished S/S tubing for a very cost competitive solution but with all the advantages of a crimp fit stainless steel system. Carbon steel Pipe and Press Fittings are both made from the same material which conforms to EN 10305 with a choice of O-Rings for chemical suitability. Ideal for oil and diesel applications. The speed of a pressfit system will amaze you. Competent tradesmen can install a stainless pipe and fittings system without the need of qualified welders. Faster and Cheaper. Less time on the job. 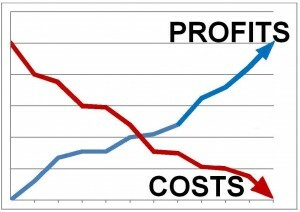 Cuts Costs up to 30%. 25 Year manufacturer backed product guarantee for all Europress approved applications. 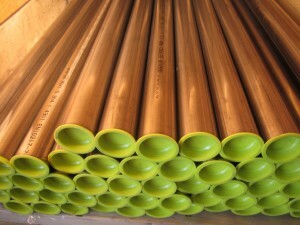 Pressfit tightness manufacturer’s tightness guarantee is in excess of 30 years. The Europress System is designed for use with common “M” profile Press Jaws, the system is bulk stocked in a number of locations Australia wide and is available through many Plumbing and Mechanical Services specialists. NO NAKED FLAME, NO HOT WORK PERMITS, NO GAS BOTTLES, Using Europress press fit pipe and fittings means no fire hazard or heavy installation equipment, makes it easier to comply with OH&S requirements. Since Europress is a subsidiary of Air Energy, clients can have confidence in the quality of the materials used and the installation conducted. To enquire about the Europress press-fitting system that makes the installation of stainless pipe and fittings so easy, get in touch with the trusted stainless steel pipe suppliers at Air Energy today. 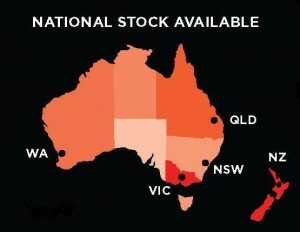 Give us a call on (03) 9765 5600 and discover just what we can do for you.